Datsun is Nissan’s low cost car brand. Cars under the Datsun brand are sold in emerging markets such as India, Indonesia and South Africa. 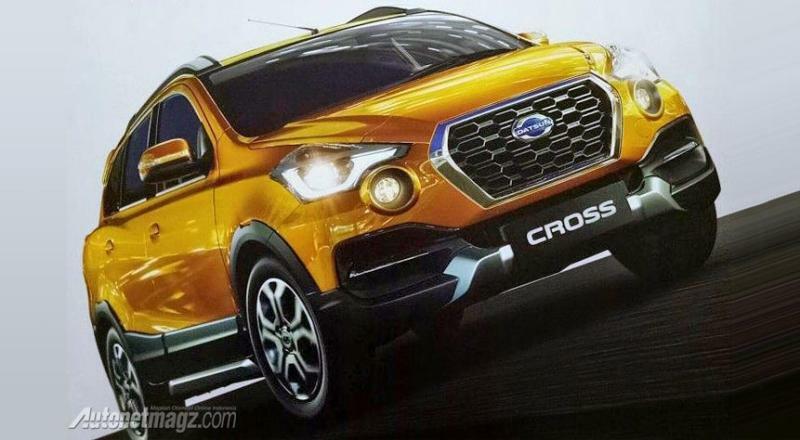 Datsun will soon launch a compact SUV called the Cross in the Indonesian market. 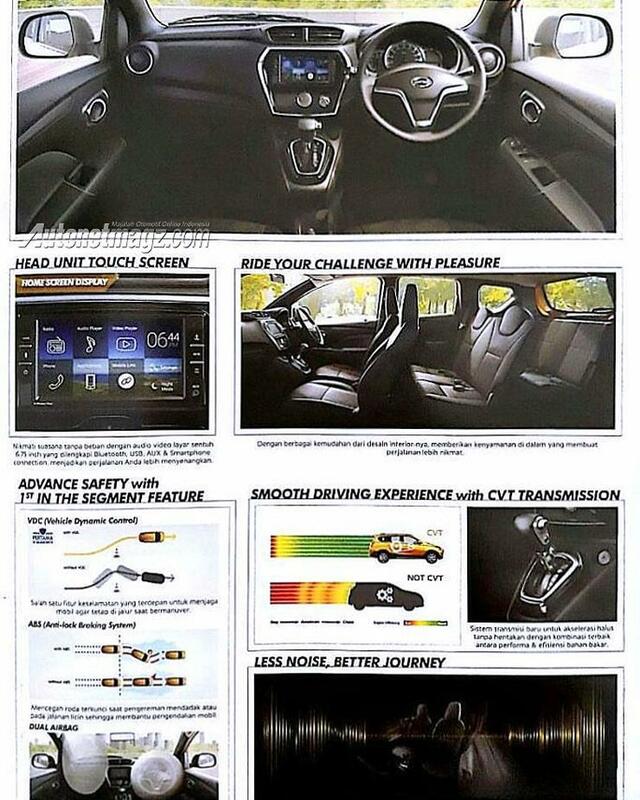 A brochure leak of this vehicle, ahead of its official unveil tomorrow, reveals what it’ll look like. The Cross – which is based on the Go-Cross SUV concept – is expected to be launched in Indian market as well. Nissan had showcased the Datsun Go-Cross concept compact SUV at the 2016 Indian Auto Expo. However, since Nissan won’t participate in the 2018 Auto Expo, the Cross – if showcased in India – will be through a different event. The leaked brochure of the Datsun Cross reveals everything there is know about the latest low-cost SUV from the Nissan group. The Cross is a butch version of the Datsun Go+, which is based on the Nissan V-platform (the same platform as the Micra). Like the Go+, the Datsun Cross features three rows of seats, to accommodate 7 people. In terms of styling though, the Cross looks more butch, with body cladding, revised front and rear styling, and faux skid plates at the front and the rear. The vehicle has been raised, with ground clearance now measuring 200mm. The cross rides on taller wheels – 15 inchers. The interiors of the Cross are also similar but different colour schemes have been used to make it look fresher. Mechanically, the Datsun Cross is very similar to the Go+ MPV sold in the Indian market. It is powered by a 1.2 liter-3 cylinder petrol engine with a peak power of 67 Bhp and a peak torque of 104 Nm. A five speed manual gearbox is standard. A CVT automatic gearbox is offered as an option. There is no diesel engine available in the Indonesian market, and the same is likely for India as none of the Datsun cars based on the V-Platform have featured a diesel motor. ABS and twin airbags are offered on the Cross.